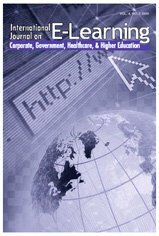 This article develops the concept of “second generation” e-learning as a new paradigm for thinking about online learning. Whereas “first generation” approaches have been effective for developing technical skills, the same approach has not proven effective for developing management soft-skills (e.g., in the field of leadership education). The distinction between the two e-learning paradigms is examined through a comparison of six characteristics and design principles. These have emerged from an action-learning research project where an e-learning system has been built from the ground up and pilot tested in a variety of organizations. The article presents a discussion of where and when each approach is most likely to be effective, how the different design characteristics are continua rather than a set of polarities, and a short case study of an application in the context of an executive development program to illustrate soft-skill development possibilities. Conclusions are drawn on the importance of taking a pedagogical, rather then a technology-driven approach for developing effective online programs for job-based learning and performance improvement. It is also argued that current technology standards appear to be locking the industry into a “first generation” mindset - at the expense of the pedagogical exploration and learning design innovation required for effective soft-skill development. Adams, J. & Morgan, G. (2007). “Second Generation” E-Learning: Characteristics and Design Principles for Supporting Management Soft-Skills Development. International Journal on E-Learning, 6 (2), 157-185. Waynesville, NC USA: Association for the Advancement of Computing in Education (AACE). Retrieved April 24, 2019 from https://www.learntechlib.org/primary/p/19865/.